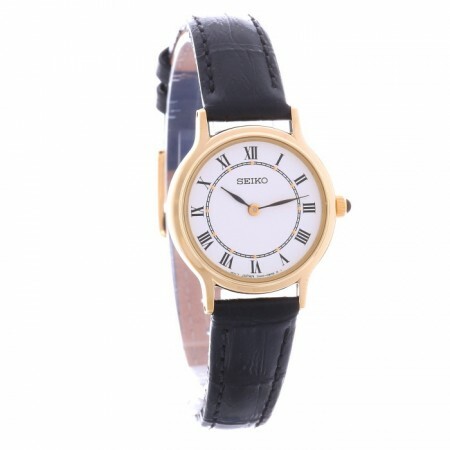 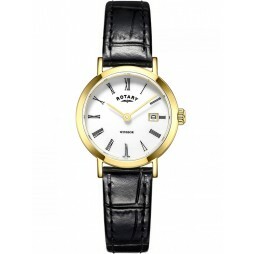 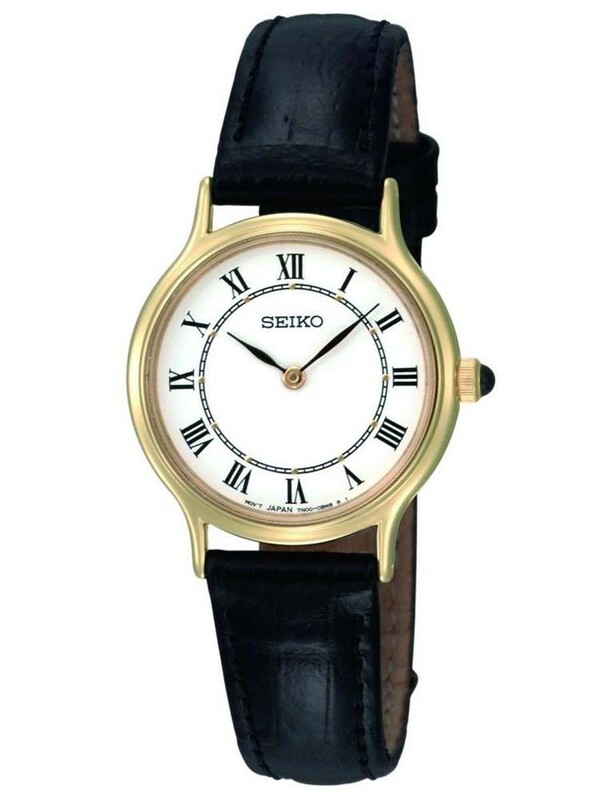 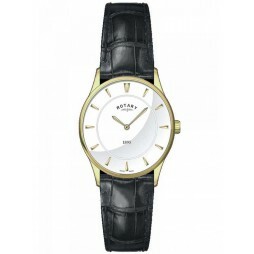 This classic ladies watch from Seiko has a black leather strap and gold plated stainless steel case. 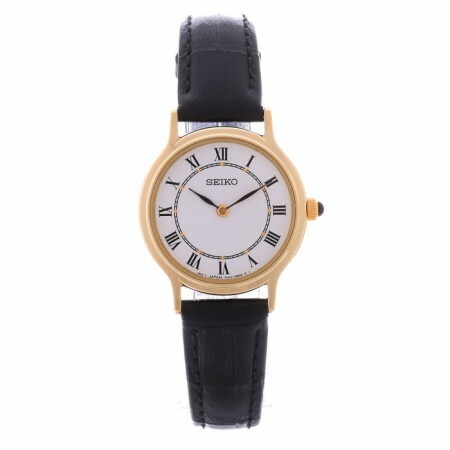 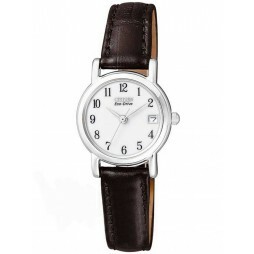 The classic dial has Roman numeral hour markers and a pair of black quartz powered dial hands. 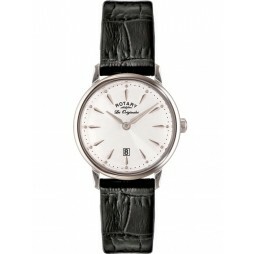 The crown also features a black cabochon gemstone centerpiece.